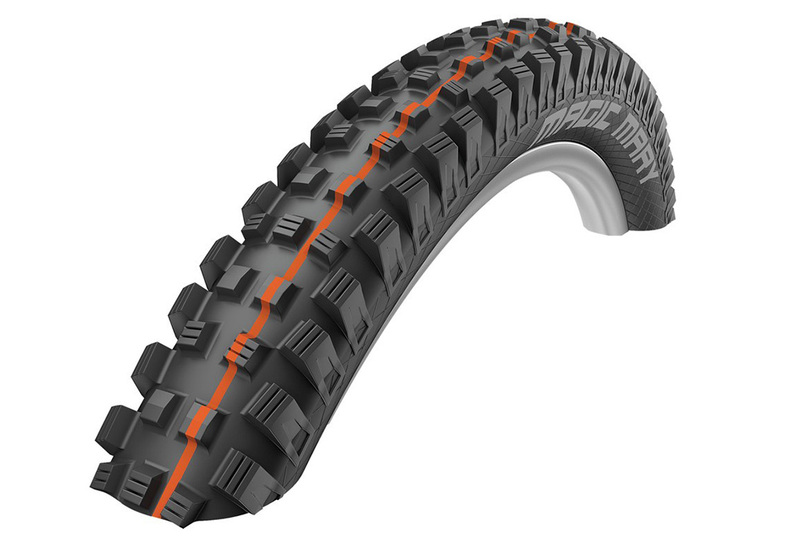 The Schwalbe Magic Mary Addix Soft is the favourite among downhill and enduro experts. The perfect choice for virtually any track. Intermediate tread: maximum brake traction and corner grip even on extremely muddy terrain thanks to strong shoulder studs and the aggressive, open tread design. ADDIX compounds are characterized by one thing in particular: they solve the trade-off between grip, rolling resistance and wear across a much broader range. Addix Soft is the specific gum for Endure, DownHill and other challenging practices. It replaces the TrailStar gum, improving the longevity, adhesion and optimising the resistance. Addix Soft gum can be used in any kind of conditions and is perfect for E-Bike use as well.